Healthy Fit Goddess: Thrive Forward Sport Edition Launches Today! Thrive Forward Sport Edition Launches Today! Vega is one of the first companies that really tailors to plant-based athletes since founder Brendan Brazier is a professional endurance triathlete. Using himself as the experimental subject, he figured out that his athletic performance peaked on a whole-foods, mostly raw, plant-based diet. The Thrive Diet reduces stress on the body and allows you to recover quicker after workouts by focusing on alkaline-forming foods with high-nutrient density. 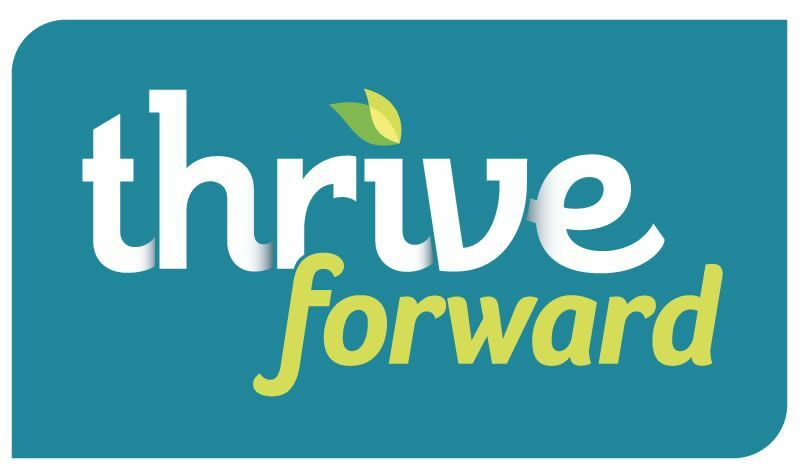 Thrive Forward launched earlier this year as an easy-to-use website for understanding the science and philosophy behind the Thrive Diet and how to implement it in your life. Well, now I'm excited to announce that Thrive Forward Sports Edition is launching today! I'm super excited for the new lessons because the Indy 500 Mini Marathon is just a month away! The Thrive Forward Sports Edition includes videos with successful plant-based athletes. One of the athletes that talks about endurance training is Hillary Biscay. Hillary is a long-distance runner and triathlete and her notable accomplishments include the 2008 Ironman Wisconsin Champion, five 2nd-place iron-distance finishes, and 29 top-5 iron-distance finishes. In this video, Hillary and Brendan discuss how to fuel and sustain your long workouts. There are some really good points in the video about fueling your workout or race. You need simple and complex carbs for fuel, and also nutrients to replace electrolytes lost in sweat (not just plain water). If you're doing a much longer workout or race, then protein and fat are also important. By far the best gels that I've every used while running are the Vega Sport Endurance Gels. They are plant-based and made out of dates, electrolytes, and coconut oil. Did you notice in the video how Hillary said that a half-marathon is a "short" race? Well, for most people, it's not. Don't let the amazing success of these athletes make you think that proper nutrition is just for race winners. Properly fueling your workouts will help you actually reap the benefits of your workout, whether it is a 20-minute jog, 10-mile run, or exercise class. There is no point in working out if you eat crap. Also, everyone is always so concerned about my protein intake as a runner and crossfitter. Well, do Hillary and Brendan look like they get enough protein? Look at those plant-based muscles! Have you tried any Vega Sport products? What questions do you have about fueling your workouts? Another Ellie Review + GIVEAWAY!